Rajya Sabha has passed the long awaited Real Estate (Regulation and Development) Bill, 2013 with amendments giving big relief to home buyers and will give impetus to real estate sector boosting the confidence of the consumers. It was first introduced in 2013 to regulate the real estate and check the menance of builders. Now, the bill 2013 was moved in Rajya Sabha with amendments, approved by all parties. It will regulate the real estate sector with mandatory registration of projects with Real Estate Regulatory Authority (RERA), if the area of land to be developed of 500 sq meters or having 8 apartments. Real estate agents must register themselves with the RERA in order to facilitate any real estate transactions. Real Estate Regulatory Authority (RERA) will be constituted in each and every state and the ongoing projects are also mandatory to be registered with it. At the time of registration, the developer or builder will have to disclose all relevant information including promoter details, project plans, implementation schedule, land status, layout, approvals and agreements among others, names and addresses of real estate agents, contractors, architect, structural engineer etc. ; thus empowering buyers with the information they need. It will restrict the diversion of funds of home buyers. It is mandatory to keep 70% of the money collected from buyers in an escrow account within the period of fifteen days, so that it can only be used for construction work, protecting the hard earned money of the buyers. Builders or Developers or Construction company will have the liability of structural defects of 5 years. It will protect the home buyers from getting any structural defect homes. The developers will be responsible for any defects. Developers can not alter plans, structural designs and specification of the plot, apartment, or building unless the two-third of buyers give consent. Now, developers and consumers both will liable to pay same interest rate for any delays in their part to meet the project or according to the agreement of sale. So far, most of the developers measured and sold homes based on Super-area which is conventionally at least 30% more than the carpet area than a buyer can use. Hence, Capret area has been clearly defined which forms the basis for purchase of houses, eliminating any scope for any malpractices in transactions. The Bill provides for arranging Insurance of Land title, currently not available in the market which benefits both the consumers and developers if land titles are later found to be defective. Fast track and State level tribunal called Real Estate Appellate Tribunal will be estabilshed for the disposals of complaints. Regulatory authority and tribunal will have to dispose the complaints within 60 days. A provision is now made for imprisonment of up to 3 years for developers and up to 1 year in case of real estate agents and consumers for any violation of Tribunals and Regulatory Authorities. And/or an additional fine of 10% of the estimated cost of the project. The promoter will have to pay up to 5% of the estimate cost of the project if he violates any other provisions of the Act. All states and union territories (UTs) must establish state level regulatory authorities, called Real Estate Regulatory Authorities (RERAs) within one year of the Act coming into force. Two or more states or UTs may set up a common RERA. A state or UT may also establish more than one RERA. Each RERA will consist of a chairperson and at least two full time members with experience in sectors such as real estate, urban development, law and commerce. (c) advising the government on matters related to the development of real estate. (d) The RERA might conduct an inquiry into the affairs of, issue directions to, and penalise any- promoter, allottee, and real estate agent if required. It can also refer the case to Competition Commission of India (CCI). One or more tribunals, called Real Estate Appellate Tribunals, will be established in states and union territories to hear appeals against decisions of RERAs. One Tribunal may be established for two or more states. Each Tribunal will consist of a chairperson and two members, one with a judicial background and one with a technical background. It shall have the powers of a civil court. The CAC will be chaired by the head of the Ministry of the central government dealing with housing and will consist of members from other concerned ministries, state governments and private members. It will advise the central government on matters concerning the implementation of the Act, especially relating to consumer protection, and policy matters. 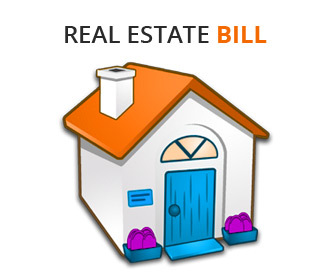 Comments "Important points of Real Estate (Regulations and Development) Bill"